As Galaxy Tab 3 10.1 hit the market shelves, more and more developers are getting their hands on the tablet. 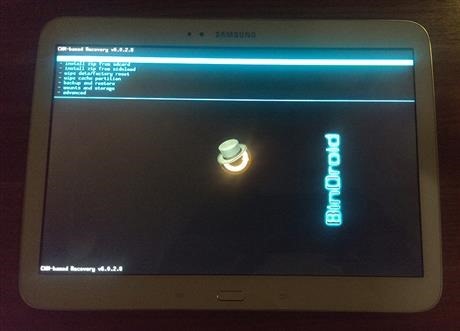 Most modders install clockwork mod recovery immediately after getting the tablet which allows them to root their device via CWM or install goodies that are otherwise not allowed by operating system, by default. So, here are the steps on how to download and install CWM recovery on the Galaxy Tab 3 10.1. Download CWM from here and Odin3.07 (ODIN link in this post). Keep in mind that by installing CWM recovery on your tablet, warranty gets void.